There is nothing sadder than losing a loved one. No one should have to suffer the pain, pain and harm that results after the tragic and sudden loss of a family member. These feelings usually get worse when the death of a loved one can be prevented and the feeling of loss becomes even more overwhelming. 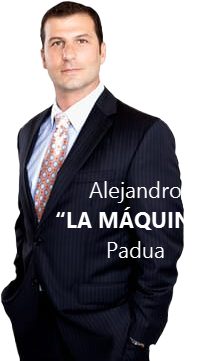 As a leading Houston lawyer in negligent death, Alejandro Padua responds to each client with compassion and support. With a thorough knowledge of the legal system of Houston and the State of Texas, Mr. Padua has been representing victims of negligence since 2007. After moving to Houston from Mexico City, he has a particular sensitivity to the difficult situation of members of the cross-cultural community as they navigate the state’s legal system. In 2016, there was not a single day free of deaths from a fatal car accident in Texas. 915 people died that year as a result of DUI drivers. An average of 95 children under the age of 5 die each year due to child care products. Between 2014 and 2016, 431 people died as a result of furniture or household appliances overturned on them. No matter how negligence (or other responsibility) occurs, when it causes the loss of life, the victims of that negligence have rights and also their families. Malpractice death attorneys make an important relationship for families who have suffered the devastating impact of losing a family member due to the negligence, and sometimes gross negligence of another person or company. In cases of wrongful death, the attorney will defend the rights of the victim and his or her family under Texas law. They will seek compensation in the form of maximum conciliations or verdicts, depending on whether the case goes to trial or an agreement is reached outside the courtroom. Losing someone close to you as a result of someone else’s negligence or recklessness is devastating. It can also leave you emotional and financial long-term damages for which you deserve compensation. In such cases, families who have suffered such a profound loss can benefit from legal representation to guide them through a difficult time and help them with their legal problems so they can focus on their grief, their health and most importantly, their family. The legal actions will not return the loved one of the family, but they can help an afflicted family to deal with its loss and its financial consequences after a tragedy occurs. For that, a case of negligent death serves to help spouses, children and surviving parents with legal issues and to seek justice and compensation while they are grieving and recovering. When a family member is tragically and abruptly removed from their loved ones, the immediate feelings of emotional distress are overwhelming and encompass everything. It may be that there is no place to consider the long-term practical effects of losing that family member, such as the income that they could have contributed. The wrongful death lawyers have the experience of having helped other families in similar situations and know that later, those families begin to suffer another type of loss: financial loss. This is one of the reasons to seek economic damages in cases of death by negligence. Earnings that would have been obtained if the family member had not been a victim of negligence. This allocation of income may be granted for the duration of the “useful” life expected of the victim. Medical expenses that the victim may have incurred before his / her death-families need help with these costs. Funeral expenses may be granted, as well as other funeral expenses related to the premature death of the victim. Services that the victim would have carried out for family members if he had not died.  For example, a monetary value is assigned to services such as care, professional support, counseling or home maintenance. Gifts or benefits that the victim may have provided to his family, may also be assigned a monetary value to the economic damages to give to the survivors. Inheritance that would have been accumulated by the victim and left to the surviving family members can also be calculated and granted. Families that experience the tragic and unjust death of a loved one can suffer in countless ways. There is mental and emotional anguish. There is emotional suffering. There is the emotional pain of knowing that you have lost the love, protection, assistance, comfort and guidance of an important member of the family. For the spouses, there is another dimension of their suffering: loss of companionship and intimacy. All of these instances of loss can represent valid claims for damages under Texas law. Additional non-economic damages can also be included in a case of negligent death if the relatives were unlucky enough to have witnessed the fatal accident that happened to their loved one. While the value of economic damages is relatively easy to calculate, assigning a value to non-economic damages is much more complex. Negligent death lawyers like Alejandro Padua have experience in explaining emotional loss to a jury and are experts in showing the court the value of this type of loss. Not all states allow punitive damages (sometimes called “exemplary”) in cases of wrongful death. However, in the state of Texas they can be prosecuted if the deceased was the victim of an intentional act, omission or a case of extreme negligence. Families seeking punitive damages do not seek compensation for themselves. Rather, they are asking our judicial system to do justice to those responsible for an unjust death. With this type of damage, the ultimate goal is punishment for the negligent behavior that led to the loss of a loved one. The punishment imposed by the Court can help dissuade others from the same heinous behavior that caused the loss of the life of a beloved family member. It can also help surviving family members feel justice. Punishment for oppressive, fraudulent, grossly reckless or malicious behavior can serve as a public example that sends a clear message: this type of behavior will not be tolerated. A practical example of a case in which punitive damages would be sought could be a case of drunk driving involving a fatal accident. If an employer sends an employee home for being drunk at work, Texas law requires that you take steps to prevent that employee from harming the public on the way home. In 2015, a Texas nursing home sent a nurse to her home because she had been drinking and was drunk. They did not call a taxi or get in touch with a family member to take her home safe and sound. He drove home with a blood alcohol level of 0.40 and crashed his car into the vehicle of a family of four, killing the father. 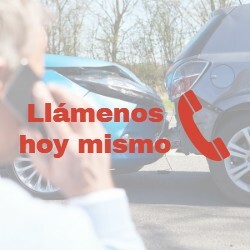 Who Can Make a Claim for Death Due to Accident? In the state of Texas, only the closest relatives of the victim (spouse, children and parents) can file an unfair death claim against those they consider responsible. Siblings can not file a case of death by negligence in the State of Texas. During the first three months after the tragic incident, the opportunity to make a negligent death claim is reserved only for the surviving spouse, children and parents of the victim. They can file a claim together as a group or individually. Once that period of three months has elapsed, and the family has not filed a case, the right to do so is granted to the executor of the victim’s estate. However, if the spouse, a parent or a child requests that no case be presented, the executor must submit to those wishes. In Texas, adoptive parents have the right to bring a wrongful death case if they have lost their adopted child due to the negligence of another person. In the same way, an adopted child can initiate a case of unjust death for his adoptive father (but not for a biological father). When there are several people who are entitled to a claim, a common course of action is to have a lawyer establish a testamentary estate. The estate will have a representative (executor) and a lawsuit will be initiated in the case of death by negligence on behalf of the victim’s estate. Even when the case is presented by a single family member, it is best to have a lawyer with knowledge to help build a successful case. If no member of the family or executor of the victim’s estate files a case, there will be no action. In that way, cases of wrongful death are different from murder cases. It is up to the family or the executor of the estate to bring a case of negligent death before the court. When they do, they will seek monetary damages in a civil court. In a murder case, on the other hand, the prosecutor’s office files charges in a criminal court on behalf of the State and does not seek monetary damages, but rather imprisonment, fines or probation. In some instances, a defendant in a wrongful death case may be brought before both judicial systems: criminal and civil. What Is The Deadline To File A Wrongful Death Claim? The emotional burden of a case of negligent death can make it difficult for families to recover from their grief. Important deadlines can arrive quickly as the family adjusts to its tragic loss and attempts to heal. That is why, if the death is suspected to be unjust, families should consult with a lawyer as soon as possible. The first important date is the period of three months from the date of the tragic incident that resulted in the loss of the family member. During those initial three months, no other entity except the victim’s parents, children and spouse have the right to file a death case for negligence. The second term has a deadline of two years. If you are going to file a case of negligent death in court, it generally must happen within two years from the day the victim lost his life (or the negligence that caused the death). There are a number of exceptions. Families can learn about the exceptions, the deadlines, the types of damages that can be carried out in a case of negligent death by speaking with a knowledgeable lawyer. A compassionate, understanding and highly effective lawyer like Alejandro Paduacan attend to the needs of a family and fight for their rights under Texas law while helping each other handle the emotional burden that their tragedy has caused. The consultation is free , and families pay nothing unless they win the case.